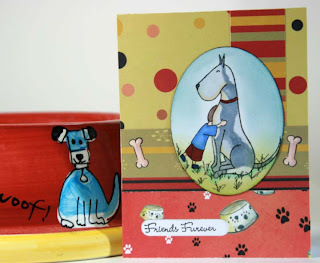 Happy Monday everyone .... it is time for another CCEE challenge. Each month one of our challenges we do is a supply one where one of our members sends each of us exactly the same supplies with which we are supposed to create our cards. This month our supplies were organised by Cindy Haffner. Cindy asked Kim from MFT if she would send the girls the MFT "Friends Furever" set (well not Cammie or Frances because they already had them.). This is such a fun set! 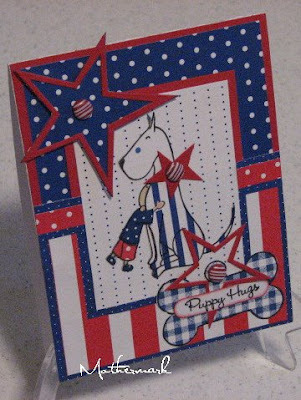 Cindy also added another part to this challenge .... we had to use 2 different design papers on our card. Our CCEE group have been doing our challenges for over a year now and we all have such fun doing our challenges. Now that we have our blog we thought it might be fun to open up our challenges to include you all in our challenges ... each week we will post our cards and what our challenge for the week is ..... if you would like to play along then please do! Don't forget to post a comment here linking us to your creation. If you upload to SCS please use the keyword CCEEC. We would love to see what you come up with. 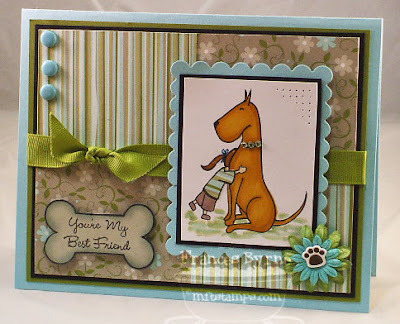 If you would like to play in our challenge this week and do not have the MFT "Friends Furever" set .... don't worry you can still play. 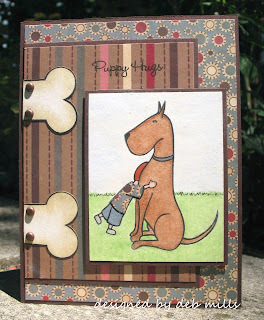 Use 2 different design papers with any dog image. Here are the cards we all came up with ... hope you enjoy them as much as we enjoyed creating them. For more details on our cards check out the link above the card. All you guys get a buzzer today! WONDERFUL CARDS gals! I love how they all use the same stamps yet look so different. All of your different styles shine through! Awesome! Oh how fun! I love that set - and what fun that you all got it! 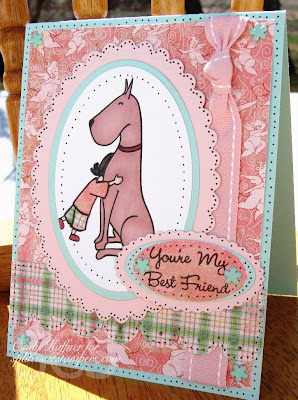 Darling cards - I love seeing each one!